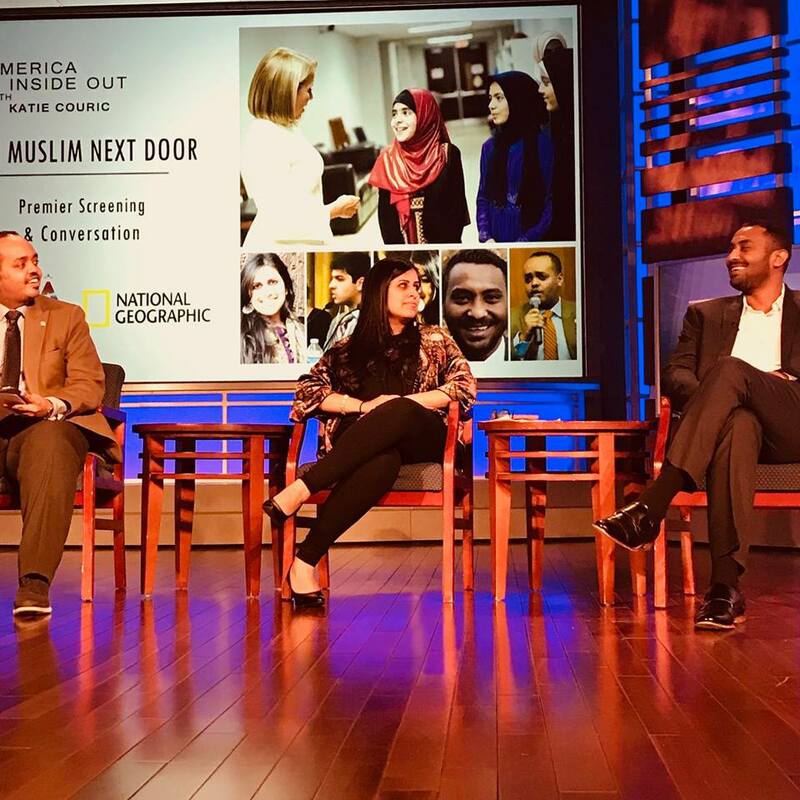 Yesterday evening AMEL President Mohamed Abubakr was featured on a panel as part of the premier of National Geographic’s “The Muslim Next Door” hosted by the Muslim American Leadership Alliance (MALA). Held at the Jack Morton Auditorium of George Washington University in Washington, DC, it was the first installment in the series AMERICA INSIDE OUT WITH KATIE COURIC. This new six-part docu-series for National Geographic brings Couric to dozens of cities across North America — from Freemont, Nebraska, to Montgomery, Alabama, to talk with hundreds of people to get an inside look at pressing social issues. Following the screening, a panel of young leaders discussed their impressions and their reflections on being Muslim in America. Panelists included Sadaf Jaffer, a scholar focusing on Islamic, South Asian, and Asian American studies; Laurel Allen Hilbert, Founder and CEO of A Dignified Home Children and Youth Services; Donya Nasser, a Herbert Scoville Jr. Peace Fellow at the Truman Center for National Policy; Ahmed Flex Omar, Cofounder and Deputy Director of MALA; and Mohamed Abubkar, President of AMEL.